Eating healthy during your wedding takes a special kind of talent, we think. With 76 boxes of mithai in your house and Gulab jamuns galore there’s very little will to fight the temptation. But the good news is that it isn’t impossible. So take a deep breath cause we’ve got your back! We might not have mantras that help fight the healthy food battle, but we’re here through the cleansing process. Thus, we’ve put together a few of our favorites detox water recipes that will give you a natural glow, clear skin and a clean, healthy tummy too. With basic ingredients like lime, citrus fruits and mint being the base, these recipes are easy-peasy-lemon-squeezy (pun intended) to put together from your local fruit and sabzi wale uncle. All you need to remember is that it takes 21 days to make a habit. 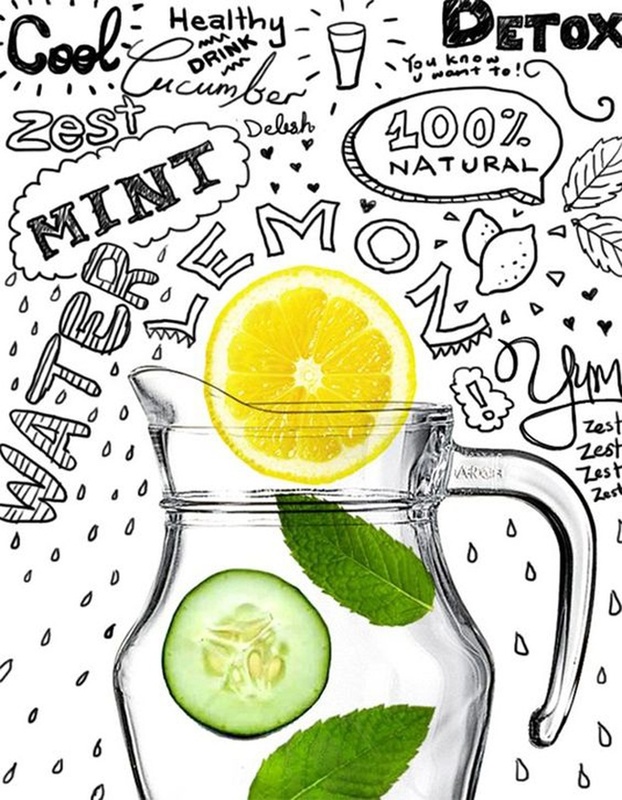 Stick to drinking a minimum of 3 liters of these infused water recipes for best results. And remember not to sweat it, you’re going to own that gorgeous bridal lehenga one way or another! Grapefruit and Rosemary - Two ingredients that make magic happen! Cucumber for coolness, strawberries for vitamin C and thyme as an immunity booster. Ginger for its medicinal properties, pear for its high fiber content, cinnamon for its antioxidant properties and Vanilla bean (optional) for that yum taste! Blueberry for its high vitamin C content, Lime for that beautiful glowing skin and cilantro AKA Dhanya Patti for its Vitamin A filled goodness.